Global warming’s influence on weather is creating new challenges in winter mountain safety. How can we adapt? From the French resort town of Chamonix, Mont Blanc dominates the horizon like a billion-dollar cruise ship dominates the dock to which its tethered. 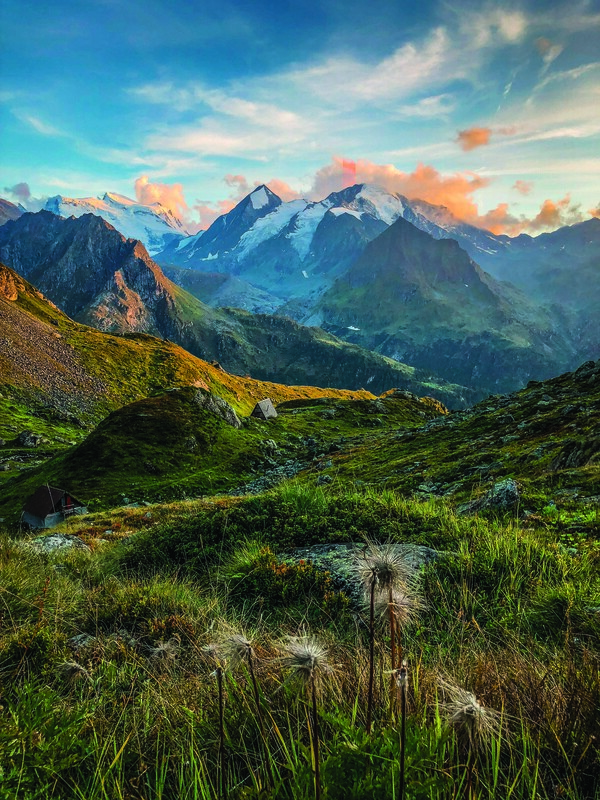 Two hundred and thirty-some years ago, when the first pair of mountaineers kicked their boots atop the peak’s snow-packed summit in 1786, no one was sure exactly how tall it was—only that it was the highest point in the Alps’ 750-mile-long range. A century later, a Swiss surveyor picked his way up the summit and dug into the icy crust at least 39 feet, noting in 1891 he hadn’t reached any solid rock. It would be another 100 years until the French Institut Géographique, with the help of GPS technology in 2002, declared the ice-capped summit officially 15,772 feet and 4 inches above sea level. But in the years that followed, it became clear the thickness of Mont Blanc’s ice cap varied—some years thicker, some years thinner—depending on the accumulation of snow, which is tightly linked to precipitation and wind. For a few years in the late 2000s, Mont Blanc actually grew, and then would shrink, and then grow again. Now, surveyors measure Mont Blanc every two years, much like a mom might notch lines on a doorway for a growing kid, only in the past few years, trends show this mountain is in fact shrinking. The year had been a record-setting hot one in Chamonix, and in the week prior to Leven’s arrival, a giant bout of rockfall on Mont Blanc had killed a 69-year-old hiker. It was only the latest fatality on the mountain that summer. (In August alone, a group of three climbers were killed when their bolts came loose, four people were killed in three separate accidents, and three other mountaineers were injured on the mountain due to rockfall. (Earlier this spring…) the Alps saw its deadliest day in decades when a storm swept through, killing 14 people.) Local guides began advising against visiting certain sections of Mont Blanc, as warm weather causes permafrost—which holds alpine rock, soil and ice together like a glue—to thaw and release trickles of water down the mountain’s face, slowly increasing pressure on already-fractured rock down below, causing slabs and pillars to break off as they succumb to gravity’s pull. In this lifetime, Mont Blanc isn’t the only mountain that’s changing. As winters continue to defy historic patterns—with more rain, less snow, volatile weather, briefer freezes and longer shoulder seasons—snow and ice conditions around the globe are changing, too, creating new safety challenges in the winter mountaineering world. The prevalence of extreme rockfall, the intensity and frequency of avalanches, and the rapid development of new crevasses are all increasing. Winter recreation will have to adapt—how, is the question. In eastern Utah, a short drive from Leven’s home, the Wasatch Mountain Range arcs like a waxing crescent moon around Salt Lake City. Every late-fall to early-spring morning, Mark Staples, the director of the Forest Service Utah Avalanche Center (UAC), checks to make sure a UAC forecaster has recorded the center’s first phone message by 5 a.m., summarizing Wasatch snow and avalanche conditions for public ears. Then radio PSAs, emails and website updates are sent out by 7:30 a.m. If conditions change throughout the day, more information is relayed. “What we’re concerned with is how, when, where is the snowfall,” Staples explains. These aspects of snow conditions play large roles in how UAC determines risk levels for people traveling in the backcountry—be it skiers, snowmobilers, or hikers. “A key component of understanding avalanches is understanding weather,” he says. As we know them today, avalanche risk assessments are built upon an accumulation of observations both in the field and via weather technology that is many decades deep. Because avalanches are dependent on a series of weather conditions, the way forecasters determine potential risks is informed largely by historic weather patterns. If weather patterns change, avalanches change—bad news for a system that relies on history to inform the probability of danger. After the 2016-2017 snow season, Tyler Falk, one of UAC’s professional observers, culled eight seasons of the Salt Lake region’s snow data and noted, comparatively, much of that year’s snowpack presented traits similar to those of a Coastal region—similar to, say, Oregon—with warmer and wetter conditions than what a lifelong Salt Lake City skier might judge normal. Falk found the average temperature between December 2016 and March 2017 was 1.2 degrees warmer than normal. He published his findings in an article titled “Adjusting to Different Snowpack,” which illustrates UAC’s major concern: Snowscape visitors must continue to pay close attention to conditions presented at hand and not rely on habit or precedence. “Different avalanche climates in northern Utah mean different types of avalanches and in places we might not normally see instabilities or red flags,” he writes. The snow season that followed was Leven’s 12th winter in Salt Lake City. It also happened to be one of the region’s worst snowpacks on record. “Yeah, this winter sucked,” Leven says. In the spring of 2018, the Deseret News reported data from the Natural Resources Conservation Service’s Utah Snow Survey showing most of the state’s ski basins never surpassed 60 percent of what a “normal” snowpack would be. And, all things considered, Leven says shorter winters and changing snowpacks have larger implications for society, considering water shortages and air pollution. “There are bigger issues than not having any more powder days,” he says. Not much has changed for him in the last 12 years, save the worsening air pollution in Salt Lake City’s valley, which is assuaged less and less as winter doesn’t provide as many cold days as it used to. What he has had to change, he says, is trip planning. Connecting with landscapes in person is one of Leven’s favorite conservation tools, but it’s hard to know where conditions will be safe at any given time.